Few developers could do it like Capcom back in the day. Renowned for their prowess in the eighties and nineties, Capcom provided many a delight when it came to arcade and home console gameplay. Recently we have enjoyed a reminder of this with the likes of the Megaman, Disney Afternoon and Street Fighter collections, but now it is time to remember one of the genre’s that Capcom were truly pioneers in. 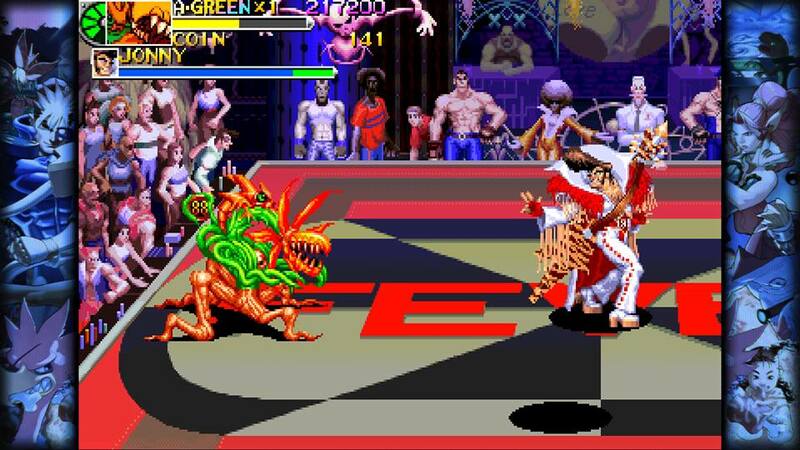 The Beat ‘Em Up is one genre that seemed to live and die within the confines of a ten-year gap, with minimal representation today. Therefore, Capcom have seen fit to serve up a slice of its wide history in this area. As this is a compilation as opposed to a single game, I feel that it is fairer to go through each game as opposed to simply lump everything together into an indefinable list, as each game has its own qualities and foibles. This game shouldn’t require any introduction. 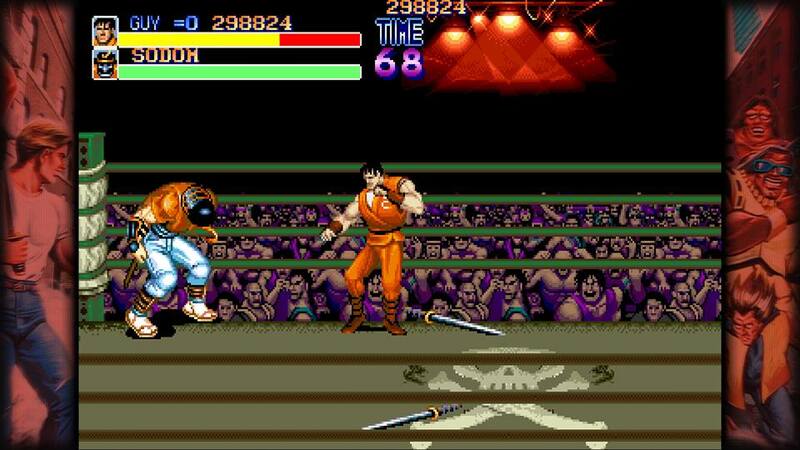 When people think classic Beat ‘Em Up’s, they either think of this or Streets of Rage. Now, while I may be blasphemous by preferring the latter, Final Fight still stands tall as one of the pioneers of the genre. It’s well represented here with an arcade perfect port and the gameplay stands up to the test of time. While many will know Captain Commando from the likes of Marvel Vs Capcom 2, He has existed as a mascot during Capcom’s early years, appearing in instruction manuals and advertising. 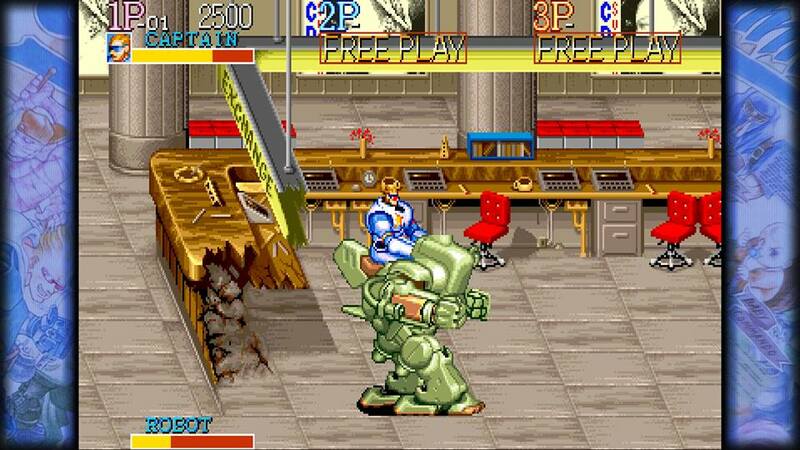 As a game, Captain Commando is a very quirky take on the Final Fight formula, allowing you to control the titular captain, a mummy or even a baby in a mech suit. Barmy, but fun. Essentially Final Fight, but set in the dark ages with a rudimentary RPG system. The level up mechanic is an interesting feature, but the core difference is within the character diversity. There are five character types to pick from; Warrior, Dwarf, Elf, Cleric and Wizard. For Example, the Wizard uses magic exclusively to fight, the Elf uses arrows and the others are melee fighters. Different characters have more agency over their manoeuvrability, while others favour brute force over being able to dodge. This one works best if you can play with others who can synergise with your chosen character class in multiplayer mode. Utilising the legend of King Arthur and the knights of the round table, Knights of the Round Does little more than The King of Dragons. This is the most basic feeling game on the list, with three characters to play as and a lot less variety in the stages. Although, an enjoyable feature is the inclusion of horseback battles. You can tell that this was an answer to Sega’s Golden Axe, however, I have to say it doesn’t quite hit that mark. This will be an interesting one for Dynasty Warriors fans, as this is derived from the same manga series (at least in the Japanese version). Warriors of Fate has a similar setup to The King Of Dragons, with differing character classes. However, the character variance comes with the types of weapons they use, instead of their general movement and ability to block. The horse riding combat is back from Knights of the Round and feels like a good mixture of the two previously mentioned titles in one shell. Possibly the biggest surprise on the compilation. 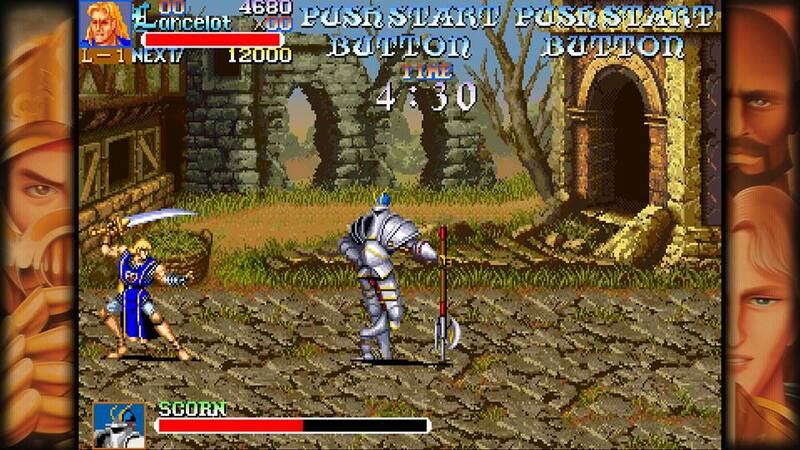 Armored Warriors is one of the two that has never seen a console port of some description, making this one of the most obscure titles from the Capcom stable. After booting this up for review, still wonder why this has taken so long to enter my life. It’s rare to find unique mechanics in the beat ‘em up genre and this one is full of them. 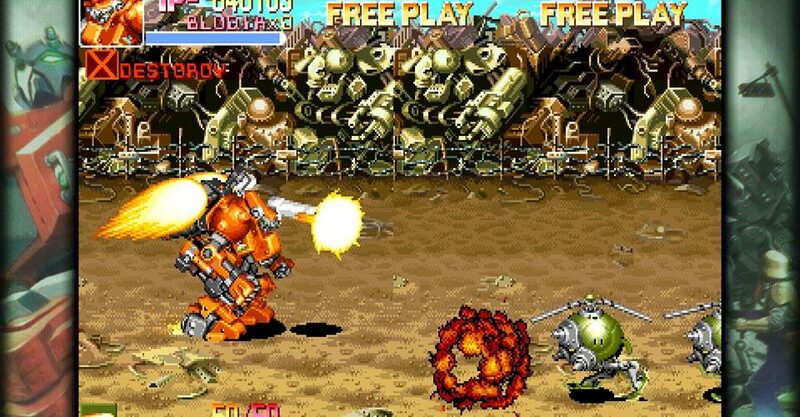 It’s a fast-paced title where you play as giant mech suits that barrel through enemies with a combination of melee and ranged weaponry. The key factor of this game is that your mech can be damaged and broken from taking damage. The offset for this is that you can use weaponry from downed enemies to augment your own abilities. Couple this mechanic with a wide range of mech types to play as and you get a fun ride with plenty of replayability. This is another game that never saw a release on a home console beforehand, most likely due to the fact it came out in 1997 and looks graphically like the previously mentioned titles and the reduction in popularity of beat ‘em up games at the time. It’s a very tongue in cheek game that sees you playing as a band of bounty hunters as they take down villains for fun and profit. The gimmick here is that you collect coins throughout the stages to spend on upgrades and abilities between rounds. 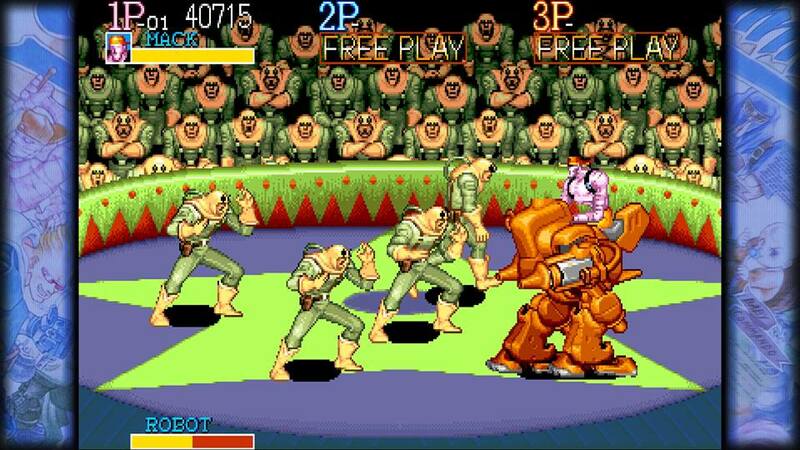 The main reason to play this is for the sheer number of bizarre visuals and enemies that you will see. 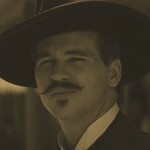 Otherwise, it’s very much another Final Fight type. All in all, this isn’t a bad bunch of games for the money. All these titles are emulated brilliantly for the PS4 and will make a handsome discovery for anyone who has long pined for the return of the genre or for those looking for a great couch co-op title to enjoy with friends over the course of a few sessions. I will say however, that there are a few issues with the online performance and a few lacking visual features that you would normally find in a collection like this, for example a lack of smoothing and scan lines, but overall this does not hurt the experience. Few developers could make them as good as Capcom back in the day and The Capcom Beat ‘Em Up Bundle offers a healthy slice of stellar examples to prove it. It may be yet another retro collection, however the selection of obscure titles offset the usual fatigue. There is plenty in here to enjoy if you are a fan of the genre.